ClickUp’s core focus is about removing frustrations, inefficiencies, and disconnect caused by current project management solutions. We hate performing two clicks in places where we could just perform one. We hate using multiple platforms and solutions when we could just use one. And we hate using a ‘one fits all’ approach when the reality is every team and project have unique needs. Our core product is built around solutions to these very problems. ClickUp has three different views of your team’s tasks, each reflecting a different set of needs and aligned with different roles. The platform allows deep modularity in the form of add-ons, allowing rich customization for each team individually. If you want the basics, you got ’em. And if you want the bells and whistles, you can add ’em. Simple to-do list your style? No problem. Complex development workflow? We’ve got you too. Each Project is completely customizable — you can have a Sales project with a simple workflow and a Development project with the full suite of features. And the best part is, you can separate your Dashboards by team and project. We’re on a mission to make people love software, in many cases for the first time ever. The entire ClickUp team is highly passionate about creating software that changes people’s lives. If you must use software every day, why not use software that doesn’t constantly beam frustration? Without any additional effort, Click Up will change your perception of what it feels like to be productive. Our roadmap consists of a wide range of proprietary platforms that will all be a part of the future Click Up ecosystem. One day, ClickUp will be the elegant solution for literally everything software related in your business and life. Things get lost in conversation, and many times comments require an action. That’s why we created Assigned Comments — create action items instantly and assign to others or yourself. Keep the clutter out of here. Reply directly to comments that matter. You shouldn’t have to use multiple apps for design. Keep your design development in one place. Comment directly on images and create tasks on images directly. How many times do you have open right now? We don’t want to add to that amount. That’s why we created the Task Tray in ClickUp. Open tasks as Tabs directly within the app itself to easily jump from task to task. When you need to make changes to multiple tasks at the same time, why waste time changing each task individually? Easily select multiple tasks and make as many changes as you want. Instantly. Finding tasks can be tricky – and a one fits all solution doesn’t work for everyone. That’s why ClickUp has three different ways of viewing tasks. Whether you’re a developer, manager, or anyone getting things done — there’s a perfect view for you. Simple Task Statuses: Don’t need custom statuses? Use Simple Statuses instead — where tasks are either done or not done. Just like a traditional To Do list. Custom Task Statuses: Create your own workflow and statuses to fit your project. Create custom priority levels (if you want) and organize tasks based on priority. Sometimes a task requires more than one person. That’s where Multiple Assignees comes in handy. Collaborate together in one awesomely simple place. If you’re Agile, you’ll freaking love ClickUp. View and filter all your tasks in an agile board — while also being able to manage tasks in other views. You get the best of both worlds. Other Project Management solutions have no structure to them. You throw tasks in Projects and then struggle to organize and find them. ClickUp is different. Start with a Project, and then create Categories of Groups of tasks. Each Category is a Goal, where you can organize Groups of tasks within that Goal. With other platforms, you get notified about everything you don’t need to see and end up missing what’s important. In ClickUp, we only show you what’s important to you. Manage your notifications from your Dashboard, and clear them as you go. Customize how and when you’re notified about updates. Sometimes you want to see all of the action as it happens, or look back and see what action took place. We created the ClickUp Timeline to give you an all-encompassing view of everything that took place in your Team. This is especially great for Managers who want to see what’s going on a day to day basis. That’s not all, folks! We’ll be releasing one new feature every single week. 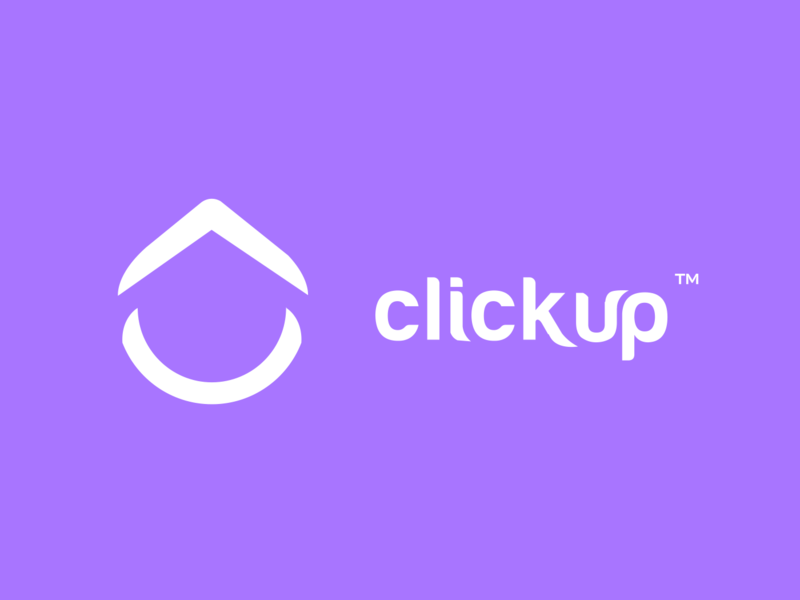 Welcome to ClickUp.